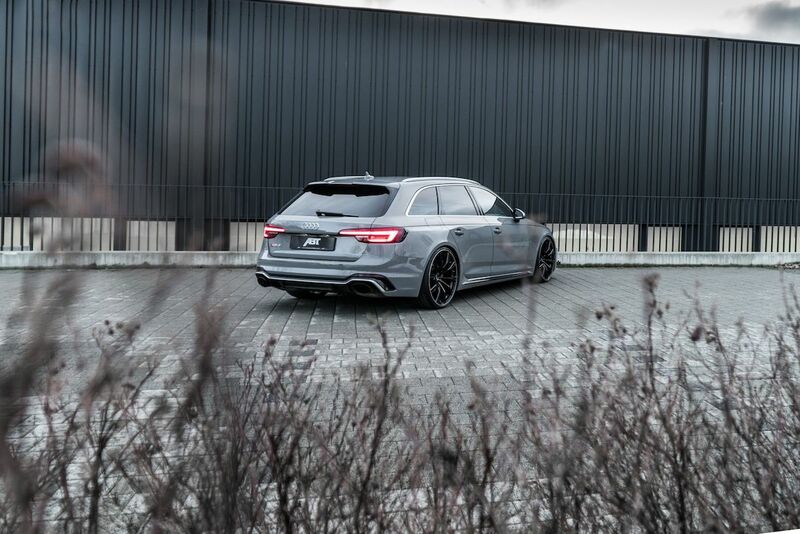 The 2018 Audi RS4 Avant is one of those cars that makes us want to move to Europe so we can get our hands on the coolest station wagon money can buy. On the surface, it's a handsome family hauler with a luxurious interior, all-wheel drive, and plenty of room for groceries. But at its heart, the RS4 is a 450-horsepower sleeper that wants to embarrass every sports car it pulls up next to at a stop light. 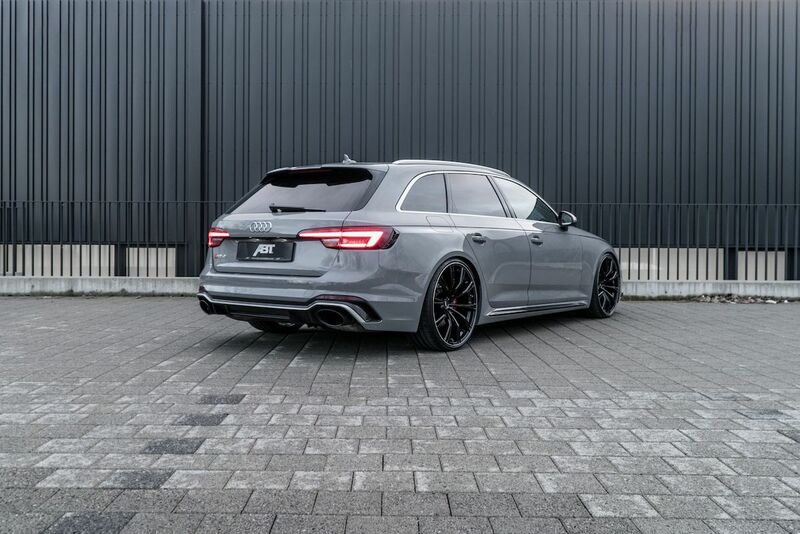 While Audi's most powerful wagon is quite capable on its own, German tuner ABT Sportsline is currently working on bringing out the RS4's wild side. 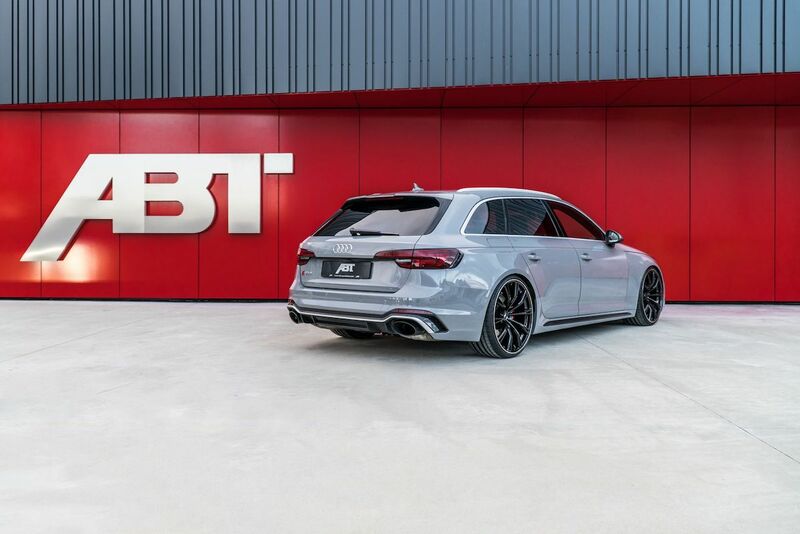 The ABT RS4 coaxes 510-hp and 500 pound-feet of torque out of the car's 2.9-liter, twin-turbocharged V-6. 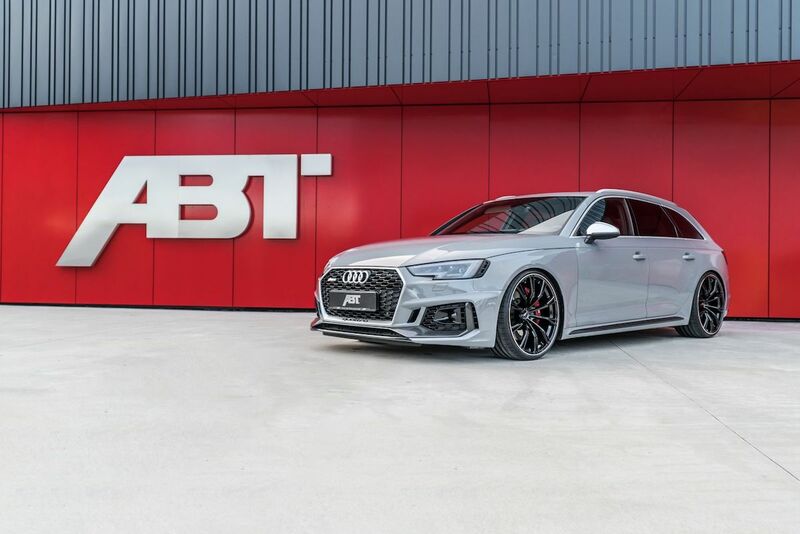 The ABT-tuned RS4's main attraction is its ABT Engine Control unit, which works in conjunction with the RS4's ECU and alters up to 25 controls to optimize power for different situations. Its suspension system can be altered with front and rear anti-roll bars, dubbed "sports stabilizers". 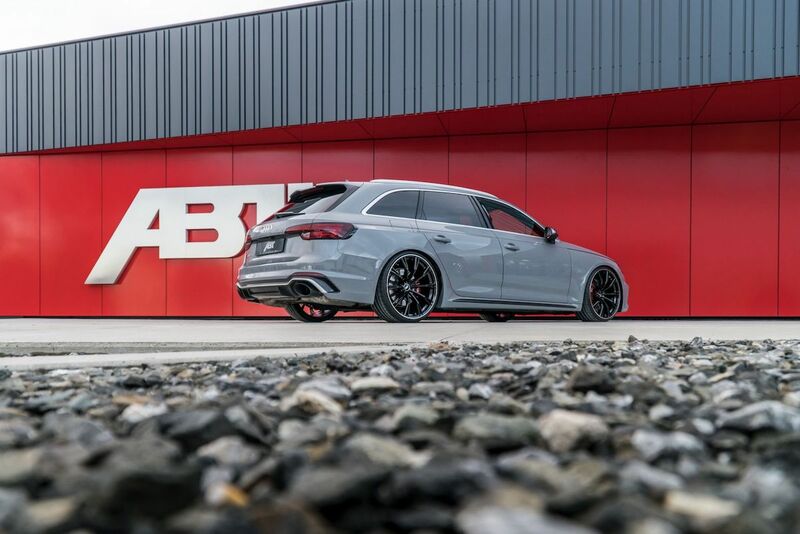 The car is also lowered in the photos, so we imagine owners can choose from either coilovers or springs like with the ABT RS5-R. There are four sets of 20-inch wheels available, in matte, mystic, or gloss black. Customers will also be able to choose different interior modifications, but ABT won't say what those are yet. 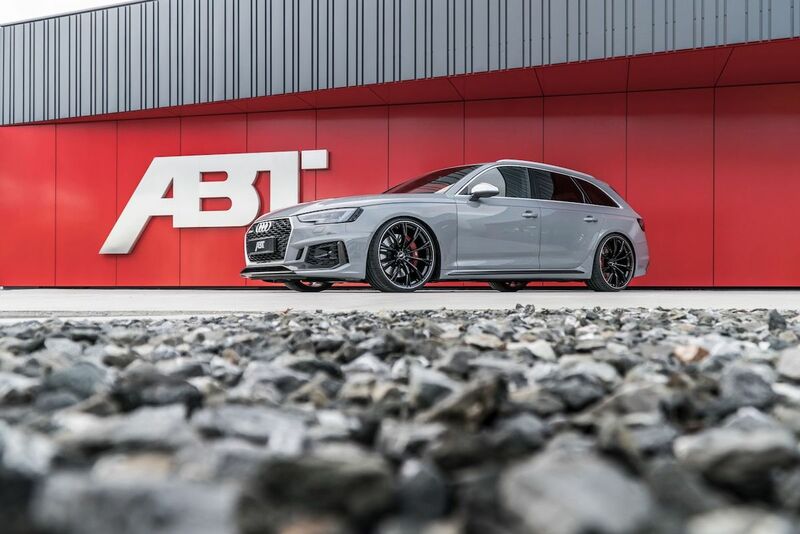 ABT's CEO Hans-Jürgen says the car will be on display at Geneva and promises there will be a "little surprise" there, which is why the company is being so mysterious about the RS4's modifications. If you want to know more about this super wagon, you'll have to keep your eye on the Swiss auto show starting March 8. This is what the stock GTI should have been like. Better exhausts and a sharp body kit make it seem especially dastardly. Audi's upcoming top-dog four-door coupe will borrow tech from the Porsche Panamera Turbo S E-Hybrid. The new 444-horsepower sports coupe scores just enough hybridization to help it with start/stop duties.